Newton's Nook Designs: September Stamp Winners and New Release Available! September Stamp Winners and New Release Available! 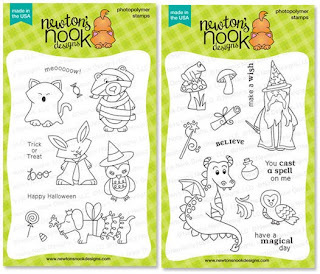 Get ready to get your paws inky with our two new fabulous sets! 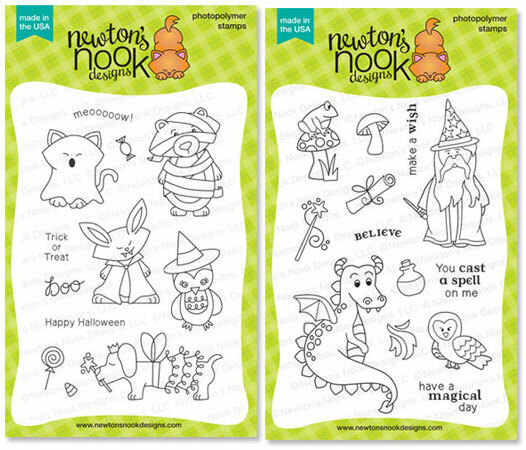 You can go shopping now and get our two new sets - Boo Crew and Magical Dreams at newtonsnookdesigns.com. PLUS- all orders this weekend get 15% off! Use Code: SEPT15 in your shopping cart. Offer good until Midnight (CST) on Monday September 16th. Reminder - as always, shipping is FREE for orders over $50 US/Canada ($75 International) If you use paypal it will ask for your code AFTER you put in your paypal information. Thank you to everyone for participating in our blog hop. We really enjoy reading all of your comments! Ready to see who won? Here are the winners, the blogs and the comments were chosen using Random.org.